This marks my final money-themed post of the season. Today we’re taking a pretty seismic (on paper) leap up to the $300 and under range – but keep in mind that the actual range I’m looking at here is $100 – $300, so MANY of these gifts are quite a bit a less than $300. When you’re spending this kind of dough, chances are you’re shopping for a spouse, or going in on a group gift with someone, or perhaps spoiling a little one. Whatever the case may be, this is once again an eclectic yet inspiring collection of ideas…and if $300 is too rich for your blood, check out my gift guides for the top ideas under $100, $50, $25 and even $10! First up, a charitable Christmas-y pick. This beautiful, handcrafted collection of made-in-Canada ornaments depicts the 12 Days of Christmas in graphic form, oftentimes in quite creative ways to represent the higher numbers in the song. It’s a great pick for anyone that loves the holidays, or as a housewarming gift for your child that’s just moved into their new home or gotten married this past year. But to circle back, this is indeed a gift with great holiday spirit. Tradeworks is a unique program in B.C. that helps women and at-risk youth that are struggling to become employed gain valuable skills in carpentry (a highly sought after profession nationwide). Upon graduation of Tradeworks’ programs, many of the participants go on to be gainfully employed, helping to support themselves and their families. It’s a feel-good idea that results in brilliant giftable ideas for your loved ones. If you don’t want to splurge on the whole set, you can buy them individually, as well as a handful of other rustic, charming ornaments. I actually featured DEWALT’s heated jacket offerings in one of my men-oriented holiday gift guides last year. But since then, the brand has gone on to pretty much corner the market in heated coats, having expanded their line with four new offerings this year. If your guy is pretty physical outdoors, he’ll probably want to pull on one of the brand’s heated hoodies, that offer extra mobility and breathability for say, someone working construction or moving furniture, but can also be warmed up with the flick of a battery. They’ve also introduced a khaki heated jacket with a hood, for those who want a little more distinction in a sea of otherwise black coats. But perhaps what I’m most excited about is there is now a DEWALT Heated Jacket for women! That’s right, the first style you see in the photo above is cut to flatter a woman’s body, and features a removable hood – plus it’ll keep you warm and toasty whether you’re skating with the kids or putting up Christmas lights on a chilly weekend day or ice fishing with your husband. The jackets (including DEWALT’s existing line) are all wind-resistant and many of them are water-resistant too, while offering multiple core heating zones and flexible battery placement depending on what activity you’re doing. It’s a great pick for him AND her – especially if they spend a lot of time outdoors. It feels silly singling out any item on this list as a Luxe Pick when indeed they are all quite luxurious, but chances are the woman on your list that receives a pair of these flats maybe isn’t in the market for a heated jacket. Named for Burch’s mother, these chic flats are a perennial part of the Tory Burch collection. However this year, they’ve got their shine on with three metallic hues – rose gold, silver and gold – that feel both festively appropriate but will also work year-round. I actually invest in a pair or two of metallic flats every year (in part because I wear through mine so quickly) as they really are a better neutral for footwear than say, black. That’s right you guys, I just have you a standing argument to obtain yourself some new flats. Use it. It’s always enlightening to do yoga in front of a mirror…when you do so, you’ll probably see you’re nowhere near that 90 degree angle during Warrior 2 or your hips aren’t anywhere close to skyward during Downward Dog. The upside is, Liforme’s new luxury yoga mats are taking a stab at making your practice a whole lot easier. The main selling feature here (for me) is the printed markings on the mats, which are designed to help you better align your postures and get into them more easily. No more guessing as to whether your hands and feet are in the right places – their handy guides make it easier than ever to line up your heels, toes, hands, shoulders, and legs. Once you’re in your pose, the mat also features a unique ‘GripForMe’ material that will help you stay rooted into the earth, even when you’re in the 50th minute of an hourlong hot yoga class. The mat is also shockingly thin for how comfortable and padded it is, so even when you’re rocking out a Dolphin pose on your elbows, you won’t feel the hard ground beneath you. Bonus points for being eco-friendly – with sustainably sourced rubber and no toxic glues or PVC. The mat is currently available in feminine pink and sleek grey, and makes a wonderful choice for any yogi on your list. We have movies in three dimensions…so why not drawings? That’s sort of the concept behind 3Doodler, which can also be seen as a spin-off of the 3D printing industry. This chunky pen takes strings of colored plastic and allows you to draw up instead of on, essentially creating sculptures in the same way you would if you were ‘painting’ an image into the air with your fingertips. It’s a tricky concept to wrap your head around at first, but after a few gos (and the brand’s handy guides and templates) it’s also pretty user-intuitive. Use it to create neat desk knick knacks or custom-create your own jewelry. Despite its colourful output, keep in mind this isn’t really a toy. It’s geared for ages 14+ so consider gifting it to that budding art student in your family. For the audiophile in your life – or the audiobook listener with a longer daily commute – comes a built-to-last set of over-ear headphones that deliver on pretty much all counts. For one, they’re comfortable – they actually come with ten different memory foam ear tips so you can make sure your ears don’t get irritated after jamming them in day-after-day. For another, they sound great – offering deep, rich bass and a full spectrum of sound that’s basically candy for your ears. And yes, they’re excellent at noise-cancelling with minimal leakage, so that nosy neighbour on your plane won’t hear that you’re jamming to Taylor Swift, and you won’t hear them munching on their airplane peanuts. And they also come with sweet bonus features, like an Apple-compatible (and select Android-compatible) remote to quickly adjust the volume and have hands-free conversations while tidying up the house or getting dinner ready. As I mentioned, they’re also pretty darn durable-feeling, with a sturdy cord and a practically unheard of three-year warranty. Gift it to anyone in your family that could use a new set of fuss-free headphones this season. A lot of people shy away from lululemon because they think it’s specifically for yoga buffs. But in fact, most of my friends that shop their religiously don’t practice yoga at all…and many of the pieces are designed for other types of physical activity, or no physical activity at all (hello cozy cardies and snuggly jackets). Essentially lululemon is genius because their products are beloved by diehard yogis, but also extremely coveted by those who aren’t quite so pretzel-like. Case in point? Their cool Urban Sanctuary Bags, which yes, can be used for yoga – they come with removable mat straps and include a separate pouch to stash your sweaty yoga clothes – but also work splendidly across a variety of other functions. 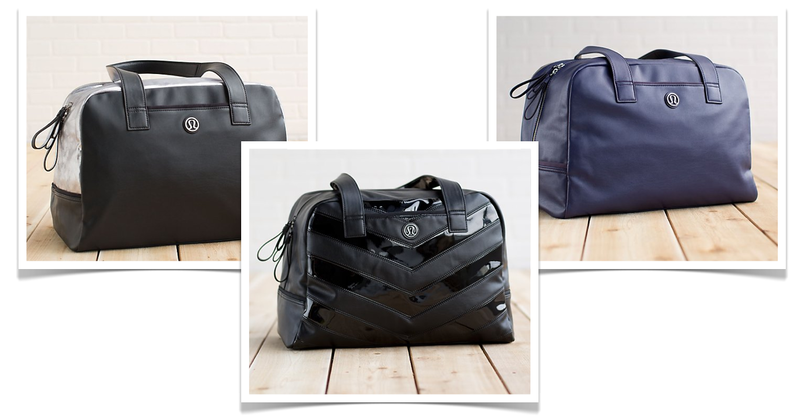 Use it as a diaper bag, a carry-on, a work tote, or a regular ol’ gym bag for whatever workout is your preference. It offers plenty of space and pockets for your phone, laptop and water bottle, plus comes in several stunning designs (the patent chevron design in the middle is this holiday season’s limited edition offering, and retails for a little more). There’s no quicker way to prana than a pretty bag – trust me! This past fall I visited the Texas State Fair and it was pretty much deep fried everything – including such exotic fare as deep fried guacamole and deep fried lemonade. While the treats were tasty, there are three major setbacks for most folks (including myself) to enjoy deep fried delights from crispy zucchini to fluffy beignets at home. Namely, a lack of skills, a concern about nutrition, and that rather pungent odour most deep fryers tend to give off. Not anymore! Moulinex’s Expert Fryer tackles all of these problems in one fell swoop. First, the ‘Expert’ in the title takes the pressure off of you – the deep fryer itself is the expert at giving you perfectly crispy, light, flaky, tasty fried goodness. By cooking more efficiently and maintaining a constant temperature throughout, there are actually health benefits to be had too. A study published in the International Journal of Food Sciences and Nutrition identified that the quick speed of deep frying foods can actually preserve vegetable antioxidants better than boiling or pan frying them. The high heat of this deep fryer minimizes fat absorption as well, making your deep fried dishes a lot lighter (tip: use heart healthy oils like peanut or soybean and blot before serving). Finally, if you’re not a fan of that fried smell, the Moulinex Expert Fryer features a unique carbon filter system to keep odours at bay. With a clear glass lid to make it easy to keep an eye on your meal and dishwasher-friendly components, this is the kitchen appliance your shelves are missing. Every little kid wants to ‘play house’ (just wait till they’re grownups and know how much work it really is!) This incredible, innovative toy house is a way to let their creativity run wild. The durable wood construction won’t have you spilling tears as you put it together, and the open-sided walls allows for play on both sides to avoid kid tears from someone ‘hogging’ the space. The DIY element comes from the magnetic, moveable wall furnishings and frames that can be taken out and replaced with your child’s pint-sized artwork, giving them two layers of play (and attachment to the home). The back side of the house also includes chalkboard panels where they can further flex their creative muscles. It also comes with plenty of accessories and furniture to get your kid started. Hape offers a range of additional playsets (including people) so you can let your child furnish their new ‘dream home’ to their heart’s content. To finish things off on a practical note, I’ve got some incredibly versatile and features-loaded sneakers from Columbia to show off. While they’re expertly designed for those with a feel for the outdoors, they’re equally useful for an offroads hike, a camping trip with the family, or even just a day at the amusement park. After all, where wouldn’t you want a completely waterproof, super lightweight, springy and comfy shoe? Beyond their breathable fabrication, these shoes also offer expert levels of grip thanks to their advanced traction outsole which can save you from bailing on rocks, dirt, sand – you name it. The men’s styles are available in the vibrant ‘Bonfire’ style you see above or a more neutral all-black. And yes ladies, you aren’t being left out – there is a similar waterproof style available for the same price. This is a fabulous pick for anyone that’s been wearing their stinky sneakers for way too long, or for the outdoorsman (or woman) in your life that likes nothing more than a little on-foot off-roading. 1) Subscribe to the Canadian Gift Guide by entering your email (or clicking ‘Follow’) in the ‘Gift of Gab’ Box’ on the righthand column of this page. You MUST be a subscriber to enter this giveaway – if you already subscribe, great! Once you’ve signed up, leave a comment on this post by December 21, 2014, telling me what your fave gift ideas are from this post. 2) Entries are limited to one per person / per email address / per household (or more if you score bonus entries). A random draw will be conducted on or around December 22, 2014 to select the winner(s), who will have 48 hours to respond before another winner is chosen in their place. 4) Bonus Entry: There are five ways to score extra entries into this swell draw. Whatever entries you do, it is imperative that you leave proof of your bonus entry activities in separate comments. If you do them all in one comment, they won’t be counted. Like DEWALT on Facebook and leave a comment on their wall regarding their heated jackets. Link back to your wall post in a separate comment below. Follow Liforme on Instagram and either Regram one of their photos or share a photo from their site on your own Instagram. Link back to your shared photo below. Follow Erikson Consumer on Twitter and Tweet about this giveaway with a link back and a tag for me (@cdngiftguide). Link back to your Tweet in a separate comment below. Like Moulinex Canada on Facebook and leave a comment on their wall regarding their deep fryers. Link back to your wall post in a separate comment below. Pin the Columbia Peakfreak XCRSN Xcel OutDry Sneakers pictured above and leave a link back to your Pin in the comments below. **DEWALT: Note that style and size of jacket are subject to availability and may not be exactly as pictured. ***Columbia: No cash or other substitution may be made except by Contest Sponsor, who reserves the right to substitute a prize with another prize of equal or greater value if the prize is not available for any reason. The Tory Burch ballet flats are just gorgeous, and my kids would adore the Happy Happy Family DIY Dream House. Thank you for the giveaway! I want the yoga mat. I’m usually fighting with not slipping on mine during yoga as I sweat a lot. And that’s with a yoga towel too. I am always cold -literally from late September until late April I am shivering and in layers. I even ware long underwear tops all the time! I think that this: A DEWALT Heated Women’s Jacket is a amazing idea and honestly, though not the best looking jacket ever, after almost freezing this weekend while watching the Santa Clause Parade with my kids -I would love it and would wear it all winter! The Dewalt Heated Women’s Jacket and the Columbia Sneakers – perfect for a walk on a cold winter day. Love the Dewalt heated jacket – I think my boyfriend could really use one of those!! That 3D pen is SO COOL! My Favourites O’the Day are the Columbia Peakfreak XCRSN Xcel OutDry Sneakers for me….hee hee…and the Hape Happy Family Dollhouse for the wee folk. The Columbia PeakFreak caught my eye. I like the colour combo on them. I especially like the Columbia Outdry sneakers for outdoor activities. I love the Hape Play House! What a great idea! Was trying to come up with a clothing gift for my sons and the DiWalt hoodies would be just the thing! My favorites are the Dewalt heated jacket and the Lululemon bag! I’d love a Moulinex Expert fryer! Dreaming of homemade fritters! Those Columbia Peakfreak XCRSN Xcel OutDry sneakers seem incredibly high quality, and the 3Doodler would be an awesome gift! I’m subscribed and I really like the idea of the Dewalt heated jacket. And the 3Doodler is very cool. I think the Liforme Yoga Mat would get the most use but the dewalt jacket is hysterical and awesome. There are a few to chose from on this list that is for sure. I think I would like to try the Liforme Yoga Mats or the RHA MA750i Noise Isolating In-Ear Headphones. Wish me luck! The heated jacket, I am always cold! I really like the DeWalt heated jacket. I didn’t know such things existed! Dewalt heated jacket is an essential in our cold climate. My favourite gifts today are the Dewalt Heated Jacket, and the Hape Happy Family DIY Dream House (great gifts for my son and granddaughter). The Moulinex expert deep fryer would be a fun new kitchen device! A Heated Jacket – amazing and that neat yoga mat. Love it all! I love them all but the heated jacket would be amazing! I love the Dewalt Heated Jacket. I know my niece is struggling and it would be so nice to know that she was warm going to classes if I could win and give it to her. 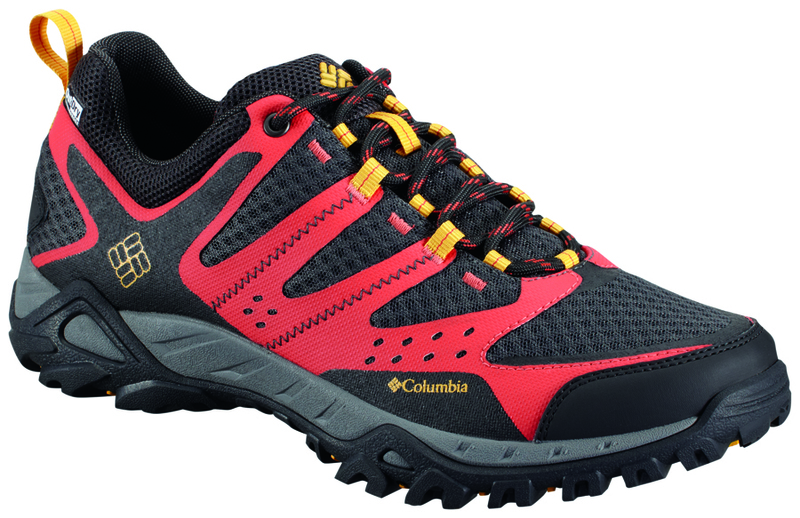 I love them all, but my favourite is the Columbia Peakfreak XCRSN Xcel OutDry shoes. Definitely the Tony Birch flats! I meant “the Dewalt page”, of course. LOVE LOVE the Tory Burch flats very chic yet classic!! For sure A Moulinex Expert Fryer – always wanted one so I can cook some yummy food I have never been able to. oh wow! I’d love the Moulinex Expert deep fryer. The 3Doodler for sure! I could have so much fun with that! They are all amazing gifts though! subscribed as jssychan@yahoo.com. DEWALT Heated Jacket is a really neat gift! i’ve never heard of such a thing before! My favorite gift would be the LuLu Lemon bag and the Moulinex Expert Deep Fryer – thanks! Have to go with the ballet flats…love!!! Dewalt Heated jacket??? what??? I’m in! My grandson really wants the 3Doodler . I really like the headphones, but need the sneakers more. Had to work outside all winter last year during the ice storm to restore power to houses! Would love to wear the dewalt women’s jacket for this years outdoor work! Love the Dewalt heated jacket! The heated DeWalt jackets are a great idea. We just bought a deep fryer from CT so that would have to be another choice if we hadn’t. The Dewalt heated jacket would be toasty. I’d love to receive a DEWALT Heated Women’s Jacket. It would encourage me to go outdoors. I think the DEWALT Heated Jackets is an AMAZING gift idea!! For myself, I would love the DEWALT heated jacket, I am always so cold. 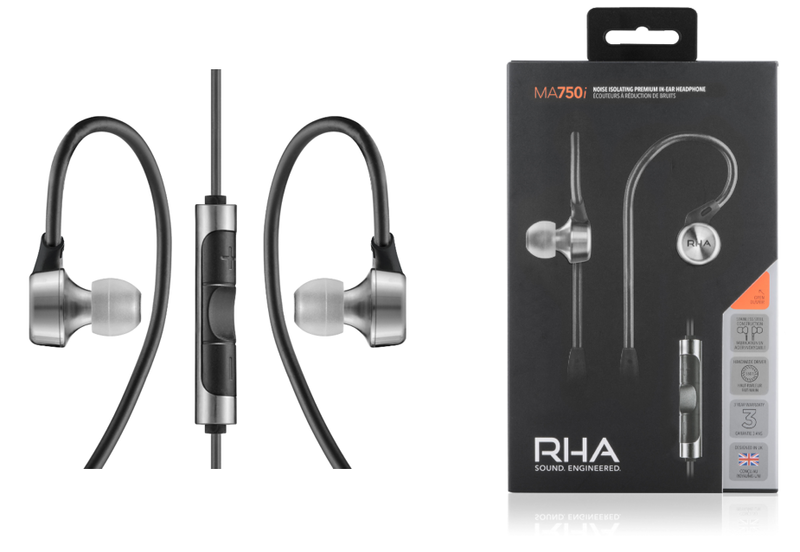 I would love to get the pair of RHA MA750i Noise Isolating In-Ear Headphones for my husband. I like the flats. They would go with a lot of outfits. the noise cancelling ear buds would be awesome when travelling. The Tory Burch ballet flats are so gorgeous, love to have a pair! 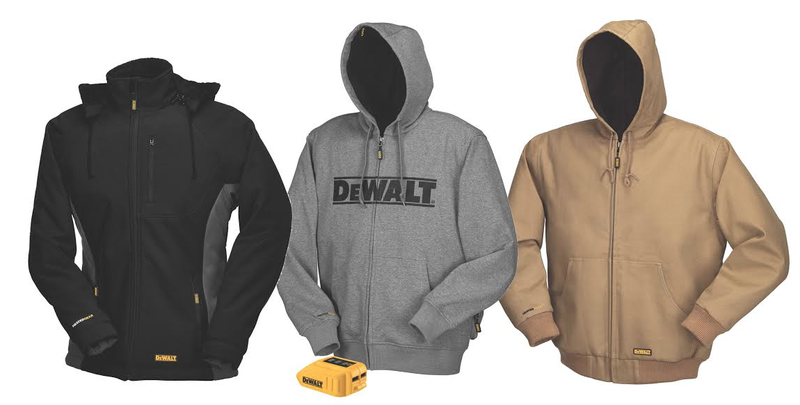 I love the Dewalt sweatshirt, it would be a perfect gift for my husband. Thanks for the great idea! The heated jacket would be my choice. I would love the Lululemon bag! My fave items are the lululemon Urban Sanctuary Bags and DeWalt heated jackets. All the items look great up above. Thanks for the contest. Ohhh I love everything in guide!! I’d say my top ones are the Yoga mat and the Dewalt jacket. The Tradeworks 12 days ornaments are a win-win gift . I love it! I love the Tory Burch flats and the Lulu bag! My faves are the Columbia Peakfreak Shoes and the lululemon bag. Very cool gifts . . . with the 3D doodler the coolest of all. I love the Lululemon Urban Sanctuary Bags, I would love to share it with my girlfriend. 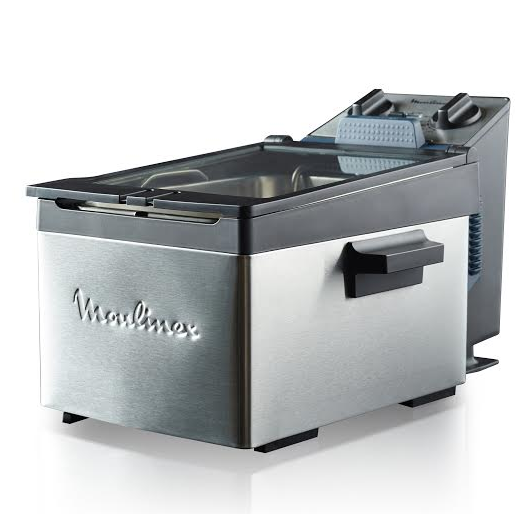 The Moulinex Expert deep fryer…my son would love it! The Dewalt heated jackets would be perfect for a lot of people on my list. 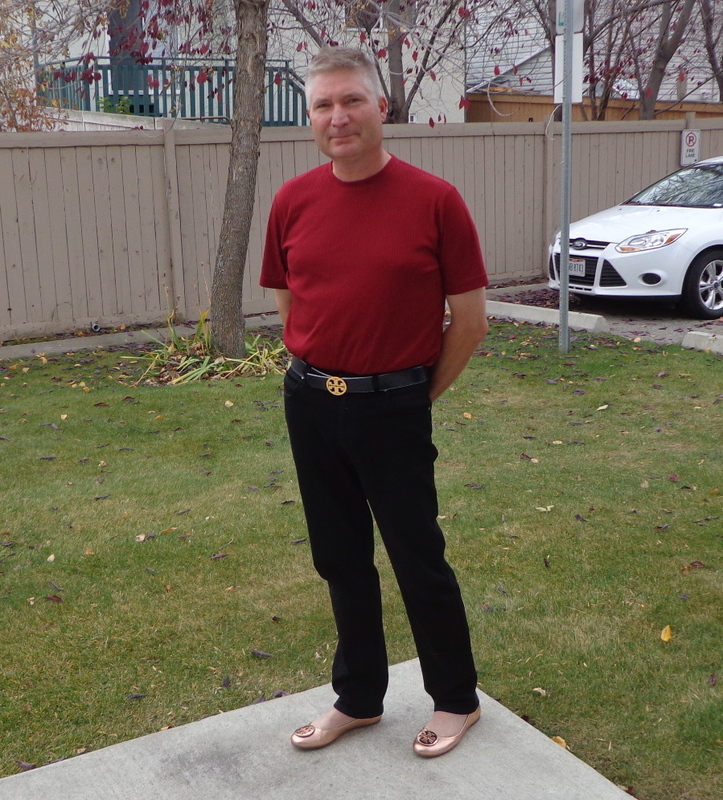 @ECnewsandreview http://t.co/8JDcea1hUO Thanks @CdnGiftGuide for the give away! The Dewalt Heated Jacket is my fave! It is such a cool idea and my husband would look great in it. My favorite is the Dewalt jacket, my husband would LOVE this! I would love the Dewalt heated jacket!!! I’m constantly cold! so many awesome gift wants here! my fave is the DeWalt heated jackets- yes please! also love the Columbia runners for sure! The 3D doodler is very cool, i didnt know it existed. Also liking the high tech yoga mat. I like the Moulinex Expert Fryer the best because I could use one. I’m having an extremely tempestuous, and I’m talking like Zeus and Hades slinging lightning and souls across the countryside of Ancient Greece, in my brain right now between the RHA MA750i Noise Isolating In-Ear Headphones because oh my goodness they look absolutely perfect and the 3DOODLER! 3DOODLER or the PERFECT headphones, this battle will rage on. Both amazing gift ideas, who wouldnt want those. The DeWalt jackets look like a brilliant idea for my man who works outside. I am rather partial to the trail shoes for myself – Merry Christmas to me is not a bad thing, right? I think the Dewalt jacket is genius!! After a week of -20 temperature, I’d go with the DEWALT heated jacket! Most certainly the heated jacket. Sounds fab. LOVE the deep dryer and Tory Burch flats! I subscribe to the Canadian Gift Guide. I have a nephew who would love the 3Doodler and I think the 12 days of ornaments are nice. My husband would love the heated jacket because it is cold at work even though he works indoors. My daughter would love the 3Doodler (I have never seen it before, it is very cool). I would love the Tory Burch ballet flats since they are gorgeous, and when it comes to footwear I always go for comfort. You have come up with another great list of gift ideas. Love the idea of DEWALT Heated Jackets- my husband works outside, so this would be perfect. A DEWALT Heated Jacket for my brother the farmer who does a lot of outdoor work. The 3Doodler is so cool! Definitely my favourite. wow- 3doodler- what awesomeness is this! Liforme Yoga Mats. They have much nicer than the one that I have. The Heated Jacket-I hate the cold! DEWALT Heated Jacket for women…wow, that would be awesome!! The heated jacket OMG I could so use that come fall when the cold weather hits and we’re still doing the farmer’s market stall outdoors, I froze this past September. Moulinex Expert Fryer-looks so PRO. I think the heated Dewalt jacket would be a great gift for hubby, it’s my fave. I love the Dewalt heated jackets the most. i want the fryer so bad! A heated jacket would be so wonderful. OMG!!! My husband would love the Dewalt heated jacket! I would love the Columbia Peakfreak shoes. I especially love the Columbia Peak Freak shoes! They would work great hitting the trails. I’m also an email follower. I love the Tory Birch flats!!! So cute! I love the Christmas ornament set. Wonderful that the production happens in Canada and benefits folks who can use the job. I also loved the deep fryer as it sounds like it has greater health benefits than most. 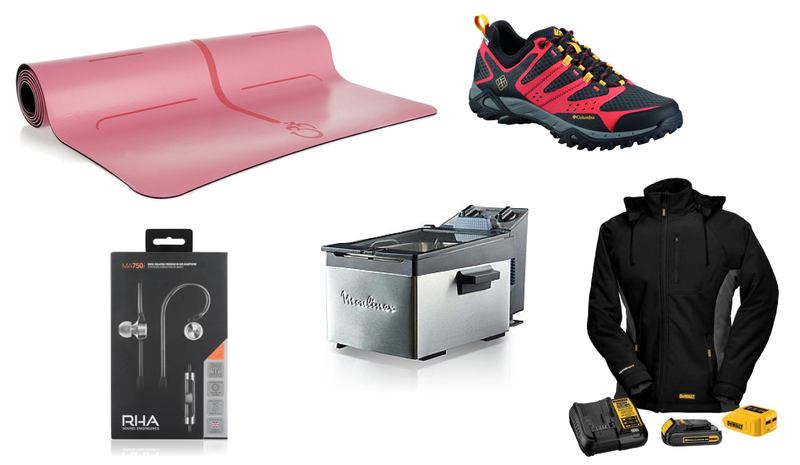 I am a subscriber and I am loving the Colubmbia PeakFreaks and Lululemon Sanctuary bags! The flats or lululemon bag! Wow, that is a lot of amazing gifts! Okay, well, as someone who has been doing yoga for 15 years, I think the Liforme Yoga Mat is my favourite. I do yoga at home now, on my own, not in a class, and, I actually do sometimes wonder if the position of my hands and feet are off. I would love this mat, which would solve that problem! And since I have friends who do yoga, I think it’s an amazing gift to give, too. Oh my goodness,,what an awesome giveaway! I am an email subscriber and I think the Columbia Peakfreak XCRSN Xcel OutDry Sneakers are a great gift idea for any man! I pinned the Columbia shoes! All of these! But I like the Moulinex Expert Fryer best. Great prize pack! 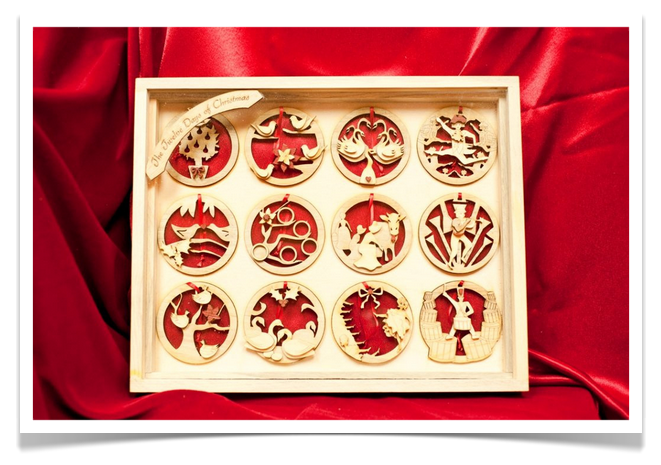 The Twelve Days of Christmas set is unique and would make a wonderful addition to anyone’s Christmas collection! I love theA DEWALT Heated Women’s Jacket! I work as a Heavy Equipment Operator in the North and this would be awesome for when I have to service my machine! What a brilliant invention! I think my favorite gift is the DEWALT Heated Jacket. I know someone who could really use the DEWALT Heated Jacket. It would make such a great present. 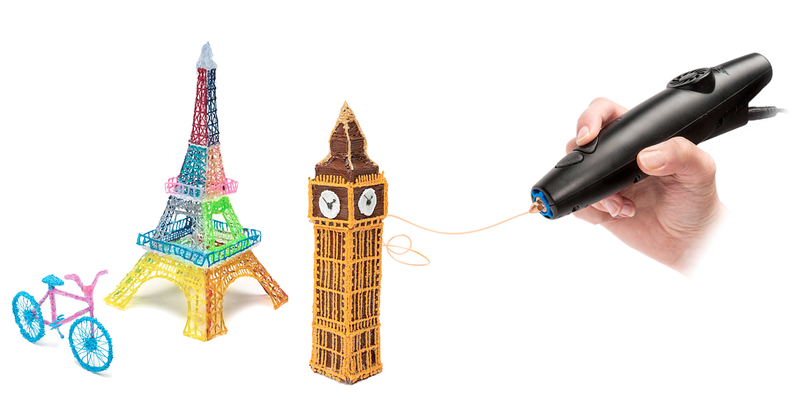 The 3D Doodler is awesome, I would have so much fun with that. Moulinex Expert fryer looks cool! I love homemade french fries. The deep fryer would be great! A heated jacket?! Love it! …and those sneakers look amazing too! My favorite gift idea is the 3Doodler – my daughters would love this! I just love that doll house! I love the Columbia Peakfreak Sneakers and the heated Dewalt jacket (I have my forever cold hubby in mind). Noise Isolating earphones would be nice. I know it’s not one of the prizes, but I like the dream house. I keep thinking of a little girl I know, her mother fell down the stairs, and is now unable to speak etc. and the girl has caregivers now. I’d just like to brighten up her Christmas somehow. LuluLemon Urban Sanctuary Bag for me. Thank you. these are simply amazing prizes you are giving away! Lots of great gifts here. I would love the RHA ear headphones. My favourites are the Tory Burch Metallic Reva Ballet Flats, Liforme Yoga Mat and the Lululemon Urban Sanctuary Bag. Love the DeWalt jackets! I use DeWalt tools at work every day, so it would be great to wear to work each day! 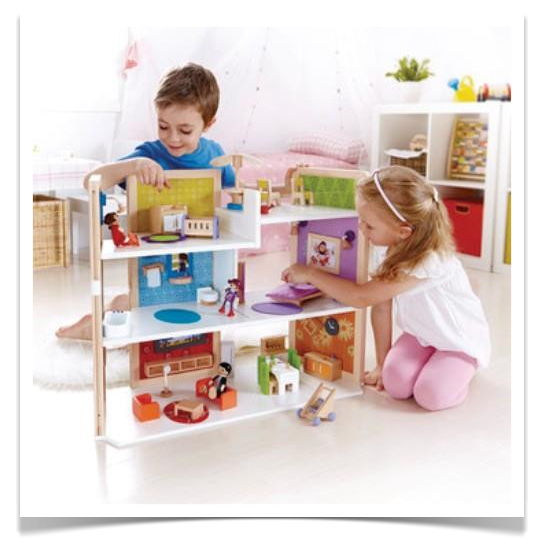 The Hape Happy Family DIY Dream House is a great pick. I love the lululemon Urban Sanctuary Bags and the DEWALT Heated Jacket as well. I love the idea of a heated jacket. Perfect for Canadian winters! I love the Luxe pick -> Tory Burch Metallic Reva Ballet Flats, in rose gold for me! I love the deep fryer because cooking is my favourite hobby! DEWALT Heated Jackets I cant imagine what a heated jacket would do for us northerners. My favourite is the DEWALT Heated Jackets. Even though they are geared towards men, I’d be happy to wear one if it keeps me warm outside especially when shoveling the snow. The heated jackets are an awesome idea and my dad would love that deep fryer. I would love a lululemon bag! The dewalt heated jacket would be great for my husband! I’m a subscriber and I love the heated jackets and the Moulinex deep fryer. Like DeWalt on Facebook and left a comment on their wall. I love the Liforme yoga mat. The Liforme Yoga Mat is pretty awesome. I often don’t realize how much I’m off posture when doing yoga at home because there isn’t the mirror like at the studio. Pinned the shoes. Here’s my pin!! The Tony Burch ballet flats have my feet screaming PICK ME! And the Dewalt heated jacket does the same for my torso! I love the ballet flats- they would make a nice gift! I love the 12 Days of Christmas Ornament Set. I love the heated jacket-my husband works outside and would be thrilled to get this for a gift. I also love the yoga mat and the Tory Burch flats are cool too. I love the yoga mat and fryer! My favorite is the DeWalt heated jacket! It would be so perfect for winter sports. love the heated jackets. this would keep me so warm at work! The Tory burch flats are beautiful and my guy could use the dewaltheated hoodie! the yoga mat for sure! These are all great items but the one I had to treat myself to was a pair of those rose gold Tory’s.